Car rental is always popular at San Antonio International Airport (SAT) and a variety of good deals await. Many of the most prominent car hire companies operate here and all insist on payment by credit card. Packages usually include unlimited mileage and a basic level of insurance, which can be upgraded if required. 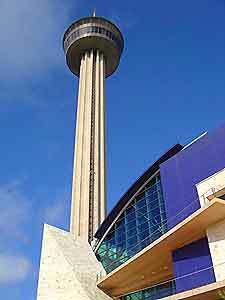 Traffic in the city of San Antonio becomes especially busy during the rush hours, particularly between the hours of 16:00 to 18:00, as you would expect in a large city. The network of roads has gained a reputation for being poorly designed, with many being rather narrow, and at times even bumpy and rather bendy along some stretches. All of these factors mean that a map is essential and that you should take it slow. Most of the local drivers in San Antonio are fairly passive and do tend to drive slowly and without any sense of urgency, far different from other prominent cities in Texas, such as both Dallas and Houston. It can be extremely difficult to find available parking spaces around the downtown district and most are chargeable on an hourly basis. However, the RiverCenter Mall (along East Commerce Street and next to the River Walk) does offer free parking for a short period. Book your San Antonio Car Rental here.